The construction of a country house or cottage is completed, as is well known, by the manufacture of a porch, which, in addition to its direct purpose, also serves as an element of the design of the facade of a building. 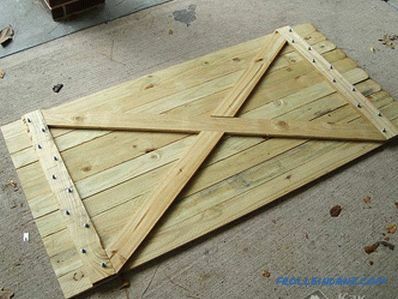 That is why the question of how to properly make a porch at home deserves your special attention. Experts recommend making the porch along with the house , since in this case both buildings will have a common base and a single waterproofing system. 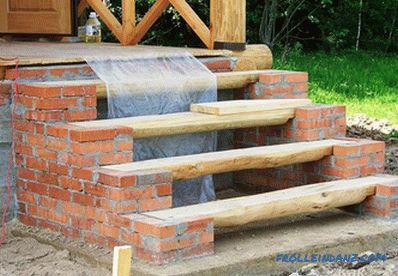 Such an organization of construction will allow avoiding problems with the "sinking" of both the basic platform of the porch (base) and its individual steps. The construction of the porch usually begins with the preparation of a sketch of its appearance, which should organically fit into the design of the facade of the entire building. 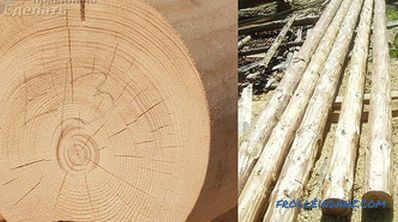 Naturally, a traditional wooden porch will look most organically on the background of a log, timber or shield building. 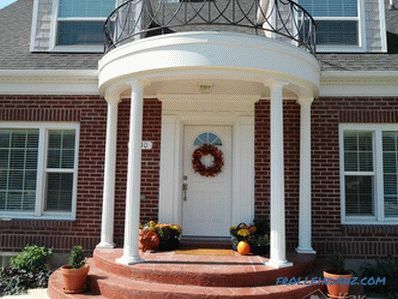 If your building is made of concrete or brick, then its porch should be constructed of the appropriate material. At the same time, one should always remember that the main condition for a successful design is compliance with the necessary proportions and maintaining a sense of proportion. The dimensions of the porch should correspond to the overall dimensions of your country structure and should not be lost on its large-scale background. At the same time, a “scanty” entrance with three steps, stuck to a huge stone cottage will look, to put it mildly, not quite aesthetically pleasing. Before the beginning of the excavation work, make the binding of the base of the future porch to the construction site, marking its location with wooden pegs. Decide "in place" with the orientation of its steps, which can be located directly or sideways, with their number, as well as with the need to arrange the fence (railing). In addition, you should prepare the entire volume of the material corresponding to your project and all the tools necessary for the work. It should be borne in mind that the porch belongs to the structures operated in the open air, and for years will be under the influence of bad weather. That is why all building materials for it must be of the highest quality. 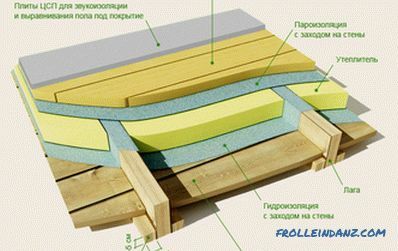 In the Russian climate, the solution of the question " how to make the porch of the house "correctly" implies the arrangement of the capital foundation for it At the same time, simple laying of concrete slabs on a sand pad may not be enough. Spring waters and prolonged rains easily wash the soil under such a base, which over time will certainly cause its bias. 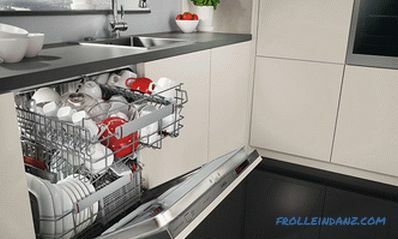 Therefore, you will have to make a major foundation under the porch according to all the rules for arranging the latter. 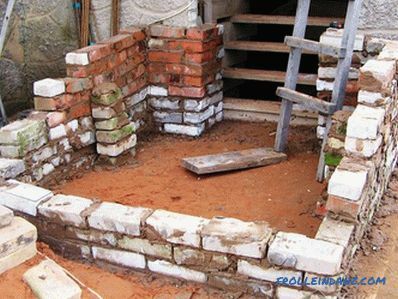 The choice of the type of foundation will depend on the level of groundwater, on the type of local soil, as well as on the dimensions of the porch itself. 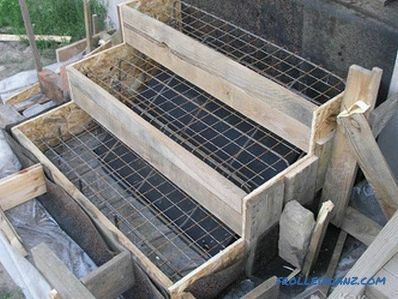 The most convenient option for preparing the base for dry sandy soil is the arrangement around the perimeter (at the corners) of the platform for the porch of small holes, which are filled with sand, and on top of them are laid square stone slabs. Before starting work, be sure to prepare a tool with which you can control verticality the buildings. For these purposes, you will need a building level of any type or a simple plummet. the overhang of the porch visor must cover its working area with a margin. 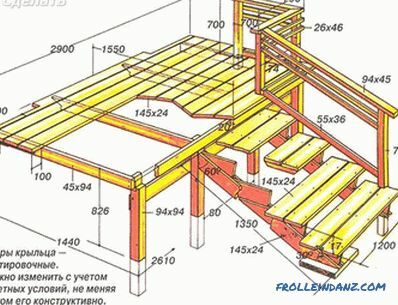 In the event that you plan to make a porch of wooden material - it is necessary to treat the workpieces (in order to protect them from fungus and rotting) with a liquid antiseptic and a special water-repellent compound. It is enough to treat a brick building with a special impregnation protecting it from so-called “efflorescences”, which significantly spoil the appearance of the brickwork. For the final (finishing) finishing of the porch, you can use the entire arsenal of materials existing in our time, ranging from ondulin, siding and metal tile to natural stone, composite decking and natural tile.